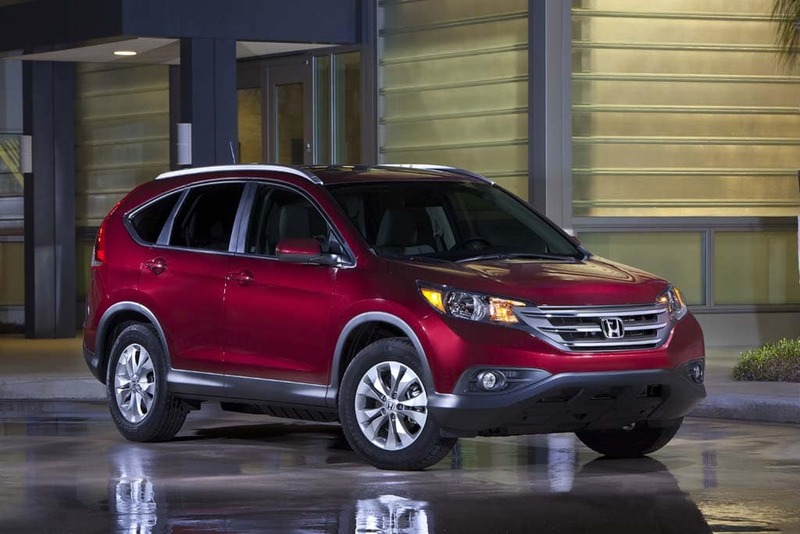 The newly-updated 2012 Honda CR-V will be critical to the maker's recovery. Honda Motor Co. Ltd. reported a drop in revenue, operating and net income for the third fiscal quarter – largely due to flooding in Thailand and the rising value of the yen, which sharply raised the company’s overall manufacturing costs. The Japanese automaker’s consolidated operating income for the fiscal third quarter ending December 31, 2011 dropped 64%, to 44.2 billion yen, or $578 million. Honda’s worldwide unit sales of automobiles dropped to 830,000 during the company’s fiscal third quarter, which ended on December 31, 2011. The third-quarter stumble was a significant disappointment for the maker, which had hoped to begin boosting production and rebuilding inventory after the setbacks that followed Japan’s devastating March 31 earthquake and tsunami. 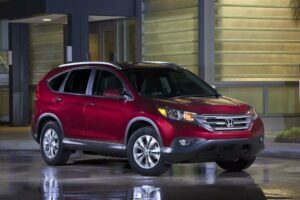 However, automobile sales in major markets did begin to recover during the most recent quarter, Honda officials said. In addition, the contribution of steady motorcycle business in emerging markets, along with other company-wide efforts to hold down costs, also helped bolster Honda’s overall results. With the maker now focused on finding ways to minimize the negative impacts of the decline in worldwide automobile production because of the Great East Japan Earthquake and the flooding in Thailand, and the historic appreciation of the Japanese yen, Honda revised the forecasts for the consolidated financial results for this fiscal year. Net sales and other operating revenue: 7,850 billion yen or $105 billion, while income before taxes will hit 250 million yen and the company’s net income for the fiscal year should reach 215 billion yen or $2.8 billion dollars. However, as per the previously announced forecast, Honda’s quarterly dividend for the fiscal third quarter will be 15 yen per share of common stock with the record date of December 31, 2011. Despite the negative impact of the Great East Japan Earthquake, the flooding in Thailand, and the appreciation of the Japanese yen, the total annual dividend per share of common stock to be paid for this fiscal year, ending March 31, 2012, is also expected to remain 60 yen as per share. But Honda also offered guidance on operating profit for the full fiscal year, predicting a decline of25%, to 200 billion yen, or $2.6 billion. “Any way you look at it, this has been an extremely tough year for Honda,” Chief Financial Officer Fumihiko Ike declared during a news conference in Japan. “We consider this to be a year of unparalleled, abnormal difficulty, and even though the global economy may not be looking good now, we’ll see a big leap next year and beyond,” he said. Honda’s arch-rival, Toyota Motor Co., is also expecting to report substantial declines in revenues and earnings for the third quarter. Like Honda, the humbled industry giant was unable to rebuild production levels to full speed due to the Thai flooding, while it struggled to compensate for lopsided exchange rates. Most Japanese makers are now looking for ways to shift more production off the Japanese islands. Honda, notably, is planning to set up a new Mexican plant to produce its small Fit model. (Problems in Europe, Latin America lead to slight dip in Ford’s 2011 earnings. Click Here for the full story. This entry was posted on Wednesday, February 1st, 2012 at and is filed under Automobiles. You can follow any responses to this entry through the RSS 2.0 feed. Both comments and pings are currently closed.